Our thanks to Ground Zero for your logistical/planning support and generous sponsorship of meals for our workshop attendees. Superfit Canine is dedicated to creating quality training opportunities to strengthen the K9 disaster response system. 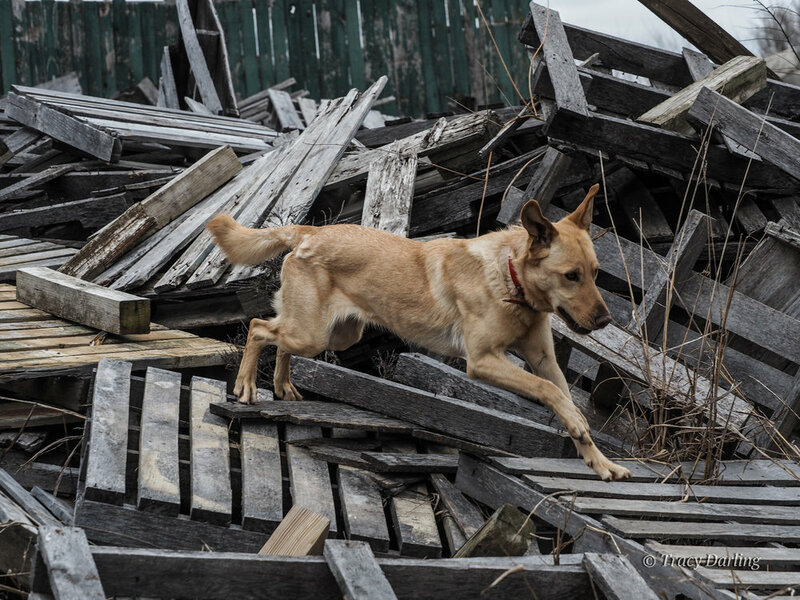 Our Disaster K9 Workshops are a mixture of simple to complex motivational scent evolutions and realistic scenarios to encourage thoughtful search strategy development. Disaster K9 teams from 9 states joined us for our first Workshop of 2018. Registrants came together on March 20-21, 2018 to challenge their skills and learn from each other this week in Tulsa, OK at the US&R training site of OK TF-1. This event was focused on the K9 response after an earthquake event. For teams looking for some footing challenges, the Tulsa site doesn't disappoint and we're grateful that they've welcomed us back for a second year. This site has a lot to offer with big concrete rubble, deep voids and crushed vehicles, but what most K9 teams remember is the impressive pallet pile. Complete with numerous deep/diffuse hides, this pile is one to challenge any K9 team. Sharing knowledge and experience is an integral part of our workshops, and this event was no exception. Keeping with the "EARTHQUAKE" theme of this workshop, we invited guest speaker and member of our leadership team, PJ Parker to share her experiences from the deployment response to the 2010 Haiti earthquake. During her dinner presentation, we learned of the many unique challenges to US&R teams during this historic deployment, and PJ offered some lessons learned for K9 handlers and other members of the US&R teams. In addition, Search Team Managers joined us for a lunch discussion on what they expect from K9 teams, and how we can better utilize K9 teams to meet mission goals. Seeing the value of this type of learning for K9 teams, we hope to host more guest speakers like PJ and include other components of the US&R team at our events in the future. After several training evolutions on day 1, the morning of day 2 was kicked off with a blind earthquake scenario. K9 teams were faced with a high pressure challenge to perform primary searches in areas with a multitude of distractions. We not only provided scent and sound distractions for the dogs, we added emotional irritants to the handlers to push them out of their normal training frame of mind. The handlers faced the challenges with grace and determination, learning to work through each problem systematically and reporting their results to to their assigned superior. Scholarships are available to cover the registration cost for our events thanks to the K9 Redden Memorial Disaster Dog Training Scholarship. We designed our Disaster K9 Workshops to be non-instructional, meaning there are no official "instructors". 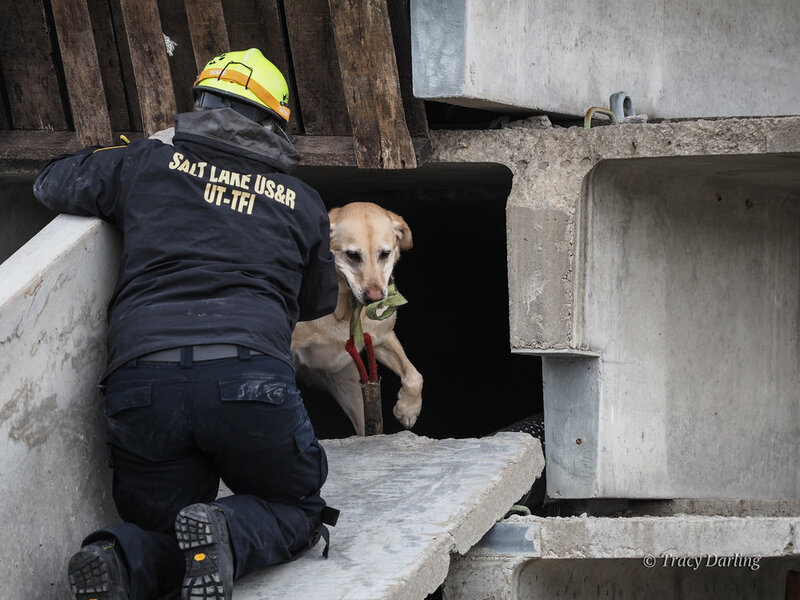 These events were developed to provide intermediate to advanced disaster K9 teams with an opportunity to expose themselves to new environments, and broaden their experience to ensure they are as prepared as they can be when they are called upon for deployment. Our "group leads" are experienced handlers themselves and are chosen because of their commitment to helping others and an ability to guide the registrants through our training evolutions in a way that promotes positive development of K9 teams. Our group leads are the heart and soul of our workshops, and we are grateful for their dedication to our programs. Special thanks to OK TF1 for their logistical and program support for this event. Visit Superfit Canine Photography for a complete gallery of images from this event. Visit our K9 Workshops page for a complete listing of events.